The concept of Zion is an intriguing one. It is both a physical place and a spiritual idea. To the ancient Hebrews, in its physical sense it often referred to Jerusalem and the Temple Mount. During the exile and into the second temple period it took on a more spiritual sense. In essence, it became known as a reference to the renewed kingdom of God. I don’t think it was a coincidence that Christ came proclaiming “the kingdom of God is at hand, repent and believe in the gospel.” Mark 1:15 I believe that when He began ushering in this new “kingdom of God” He was in fact fulfilling the late Hebrew prophetic concept of Zion! 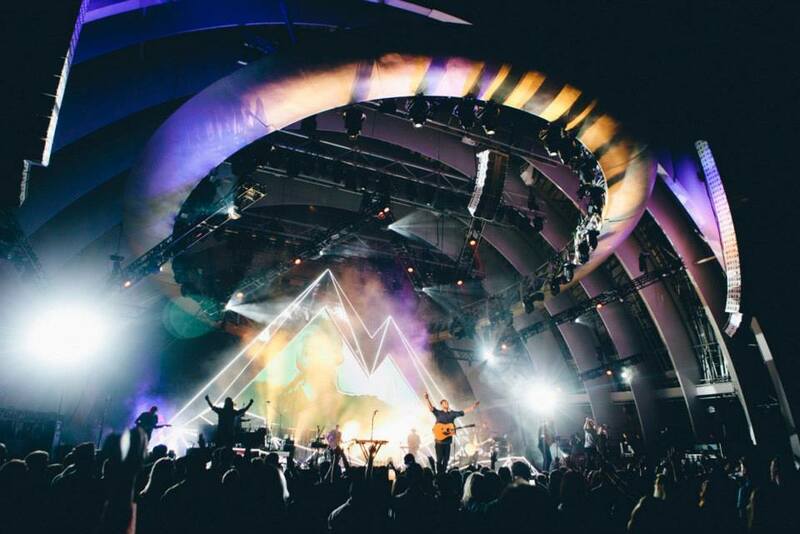 Joel Houston went on to explain that not only does Zion refer to the city of God, but “we… the people of God, are the temple of God.” If in fact, we are the temple (tabernacle, tent or house) of God, as 1 Corinthians 6:19 tells us, then we must conclude that amazing worship can and will take place wherever we find ourselves. It can take place at the Hollywood Bowl along with thousands of believers or in the privacy of our own homes. This concept of transcendent worship should radically change our idea of what worship is and where it takes place. The C3 venture that we have been on has been quite a ride to say the least. God has walked with us every step of the way and the concept of worship as described above has become more real than ever! We’re blessed to be worshiping at Generations Church on Sundays and in our home on Wednesday nights, but we are desperately waiting for God to move us out of the nest and into our own place of worship. So we’re praying. In fact, we’ll be spending 4 nights in prayer and worship at my house July 10th-13th from 6:30pm-8:00pm. I would love to invite you to pray with us. You can pray from your home, from your car, in your workplace or you are more than welcome join us at my house. We’ll be praying for our community, our families and any immediate physical or spiritual concerns that need to be met by God. You can also send prayer requests to info@c3menifee.com. Wherever you find yourself during those times, please pray! Regardless of when or where you end up worshiping in the coming weeks, I’m praying that you have an amazing worship experience and a safe 4th of July. I’m looking forward to seeing and/or hearing from you soon. May your strength be found in Him alone and may your heart become a highway that leads to Zion!